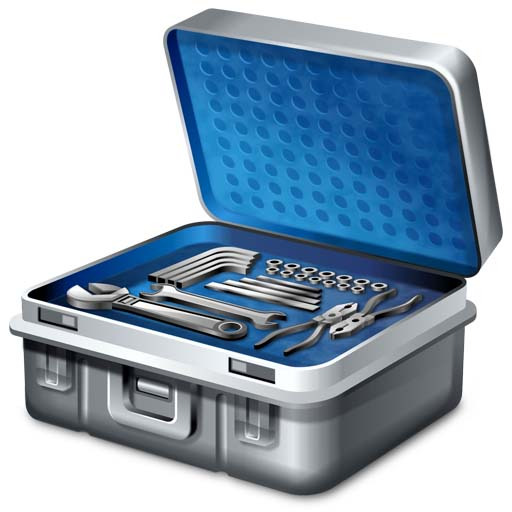 What's In Your ERP Toolbox? Remember at the beginning of each school year you would be given a list of supplies needed for the year. There were basic items required as well as items that were recommended. Well, in our chosen professions there are certainly requirements. You may need a particular skill, certification, or education / training to perform the job. There could be something more tangible like a laptop, cell phone or other type of tool. We also have basic needs such as food and water, access to restrooms, a place for a break or to eat your lunch. Think of all these things as items in a toolbox. Some tools you need, some you don't have but make do without, and some you have, but rarely use. For instance, in manufacturing, we definitely need machines and equipment. We also need some power tools and hand tools for maintenance or job changes. For scheduling jobs, maintaining inventory, shipping product, paying invoices, keeping track of employee hours, we could use paper, pencil and lots of leg work. We can create spreadsheets and other documents on procedures and work instructions. However, I think we can all agree, in order to provide our customers with the best possible product, there are some tools available that can help us increase efficiencies. These will not only make you more competitive, but you will stand out and have a reputation for being a front runner. Tools that cut down on mistakes and reduce production time will also help when facing tough economic times. One of the tools you may want to consider is Process Monitoring. IQMS EnterpriseIQ now has the ability to connect to a PLC or other device with an IP address which can include Injection Molding machines to receive process data in real time. We can also receive data from Quality measuring devices such as CMM, Scales, Calipers and others in real time. The data is saved in the database and can be viewed in real time or set up in SPCfor calculations of Cp, Cpk or SPC's ASQ "Run Rules". No more paper work needed as the data is saved to a single database, accessible by multiple users at the same time. With this kind of data access you can now truly manufacture quality into the product by monitoring input variables and calculating trends that indicate a process is out of control. Your customers can have the confidence in your ability to prevent disasters, and attain zero defects. RealTime Process Monitoring coupled with RealTime Production Monitoring will keep you up to date on the output of your manufacturing facilities, whether you are onsite or not. Through web services, your laptop or handheld device can connect to the very same monitoring that is on the plant floor. Reports can be run to alert you and your staff that a process is trending out of control. Multiple departments can be notified simultaneously which will decrease reaction time. For instance, from an Injection Molding Machine, critical process parameters such as Cushion, Peak Injection Pressure, Hold Pressure, Fill Time, can all be monitored for every cycle. This is such a powerful tool! With user defined options on the frequency and type of data saved you are in control! So I ask again "whats in your Toolbox"? Are you trying to make do with the minimum or do you wish to expand the capabilities of your employees by providing the most sophisticated and current tools available? When employees are given tools that reduce mistakes and allow them more opportunities to become creative, it can be very exciting!